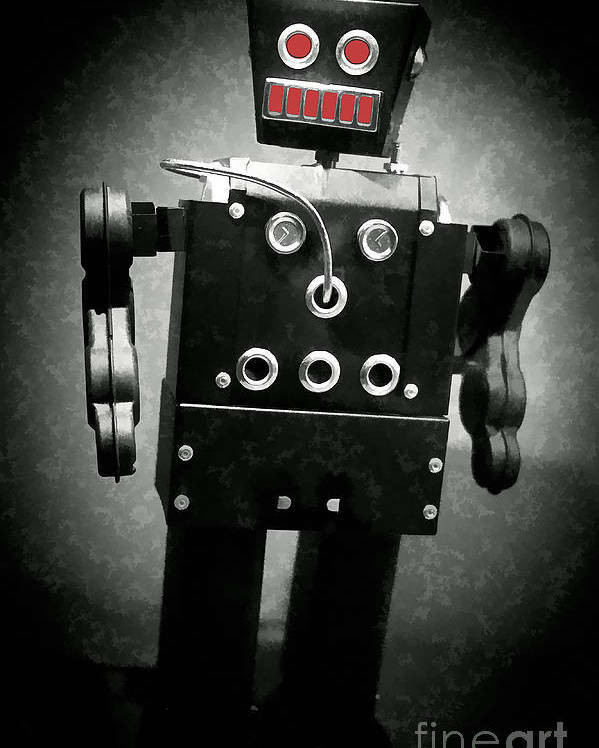 Dark Metal Robot Oil by Edward Fielding - 8" x 10"
Dark Metal Robot Oil poster by Edward Fielding. Our posters are produced on acid-free papers using archival inks to guarantee that they last a lifetime without fading or loss of color. All posters include a 1" white border around the image to allow for future framing and matting, if desired. There are no comments for Dark Metal Robot Oil. Click here to post the first comment. A mechanical man from outer space. A black toy robot tin toy from yesteryear stylized with oil painting texture effect. 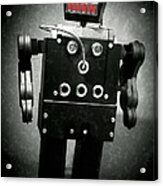 The Three Laws of Robots are (for human safety! 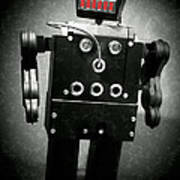 ): A robot may not injure a human being or, through inaction, allow a human being to come to harm. A robot must obey the orders given to it by human beings, except where such orders would conflict with the First Law. 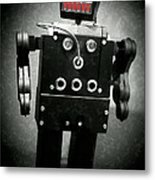 A robot must protect its own existence as long as such protection does not conflict with the First or Second Laws.